A pair of Polarized Sunglasses will be the best investment you make this summer. You’ve probably heard of polarized sunglasses before, but maybe you’re wondering how they actually work and what they do. We’re sure you have a number of questions about these unique sunglasses and their benefits, so check out all the information below. While tinted sunglasses are great for reducing brightness, they don’t eliminate harsh glare like polarized sunglasses. Don’t let darker lenses fool you into thinking they offer more protection from UV rays, either. The darkness of the lens does not accurately represent the lenses’ ability to block UV rays. For years, boaters and fishermen have reaped the benefits of wearing polarized sunglasses. More recently, however, the benefits of polarization have been embraced by a variety of other outdoor sports enthusiasts and those who enjoy general outdoor recreation. Water-sport athletes, golfers, cyclists, and joggers can all benefit from sunglasses with polarized lenses. 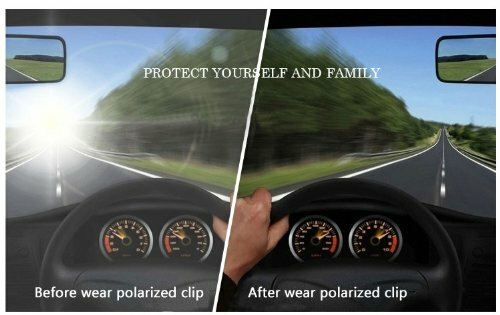 How Can You Tell If Your Lenses are Polarized? We’re glad you asked and we have tools that can help you find whether your sunglasses are polarized. We also have a good collection of polarized sunglasses available at our store. We can also help you put polarized prescription sunglass lenses in your existing sunglass frame. Walk-in any time during office hours and one of our experts will be available to help you.